It’s hot. Damn hot! Real hot! Nudging towards 33C in eastern Austria. Hottest day of the year? Could be! So. Pour a cool drink, slip on some shades and shimmy in the sunshine because it‘s time to think about snow. I wouldn't take a forecast beyond 7 days that seriously. Computer models are good at giving you an idea of what the forecast is likely to be three to five days out (which is actually pretty amazing given the chaotic nature of weather). That said they can still be caught by surprise and accurately predicting precipitation in particular is very difficult. Although sometimes people ask what "locals" think the weather will be like, most (farmers, police, guides) will use the same sort of forecasting tools every else does. Locals don't have a sixth sense that can allow them to know what the weather will be like that others don't have. What they do have built on hard experience is a much better feel for how the weather will affect the local area and how that will change the conditions. Here's something I scribbled down on forecasting at the end of the 2011 season. I think it still makes broad sense now. "Looking at shorter term models like GFS etc. Beyond seven days any model is very subject to change. I wouldn't take it that seriously. You might get a trend. GFS provides a longer range, public set of ensembles than other models and these are easier to tie to location than others, but the ease of use does not mean GFS is necessarily a better model than others. To have any confidence in that trend you would want to see it picked up run after run and also joined by other models. - Closer in GFS and other synoptic models start to be less useful in the 2 to 3 day range. Local variation will start to undermine them beyond the general trend. - Mesoscale models like WRF may be more useful in the 2-3 day range. - Right close in, on the day or day before for example, if I needed a good forecast I would almost always choose the local avalanche forecast for accuracy. - Don't take it that seriously." To which I'd add that beyond seven days you can't really talk about a forecast, what you have is a range of probabilities, as shown by the different coloured ensembles, which is almost always simply too great a spread to really call a forecast. You can't really make sense of these as a single snapshot. So you need to see how they evolve from run to run to give you a sense of whether certain options are looking more or less likley. And to repeat forecasting accurate precipitation is very difficult (so be wary of any forecast that appears to say you will get 23.5cm of snow next Friday). Measuring how much has fallen afterwards is almost as difficult if not more so (so be wary of any snow report which claims 23.5cm of snow fell last Friday). And finally for anyone wanting facts about the future. There aren't any there are only forecasts (and sensible ones tend to have caveats). Good that hopefully should have cleared things up a bit. @nozawaonsen, Yes indeed! We were just chatting last night about the upcoming season over a post-climb beer. A decent amount of snowfall without a persistent weak layer was the wish. It's absolutely baking – is it nearly winter yet? @nozawaonsen, Good to see you again. Looking forward to your thoughts this coming season. -1 here last night on the mountain. (I'm sure that doesn't mean anything )! Glad to see I'm not the only mad man who's thoughts turn to snow even deep into the heat. Dusting of snow above 2500m. Fresh snow in the summer always looks beautiful. Certainly been quite a drop in temperatures over last couple of days in Austria. Currently NOAA has an El Niño watch in place for autumn. I hope this thread is as short as the 17/18 one was! @nozawaonsen, Thank you again for starting the next instalment of the Weather Outlook Thread. @nozawaonsen, any thoughts on what the weather in La Tania will be on Wednesday 13 March at 11:25? it will snow overnight, 42.5cm of fresh powder, followed by sun all day. Get in ⛷. We will be there. 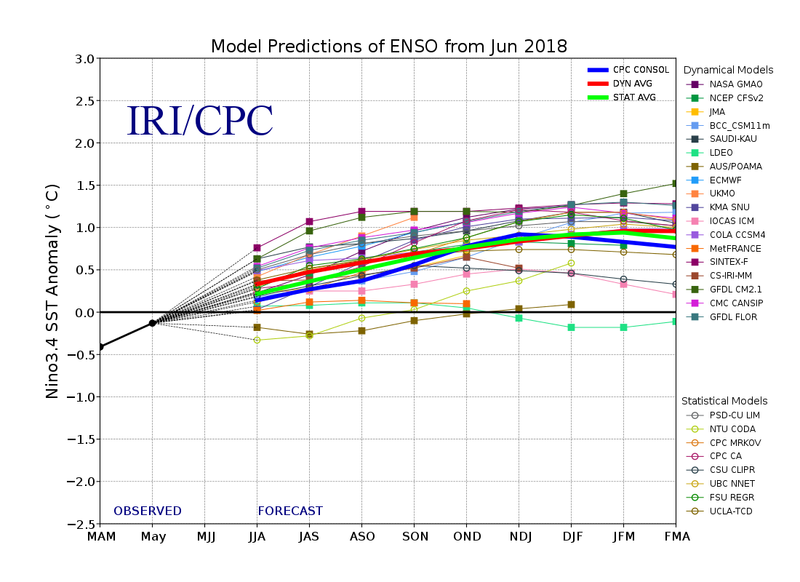 The various ENSO models forecast ENSO to be Borderline El Nino, which correlates roughly with -AO and -NAO. Its not every summer that Glasgow is forecast to be 4 degrees warmer than London but it can happen if the source air flow is coming from the north east. Currently 5c warmer in Aviemore than here in North Yorkshire. Winter is on it's way. Pow, pow, pow etc. First snow depth map of the season. Nah, it's still the tail end of last season for me. Scandinavia looking bad at the moment (July 2018). A couple of resorts have closed early for the Summer, this week. 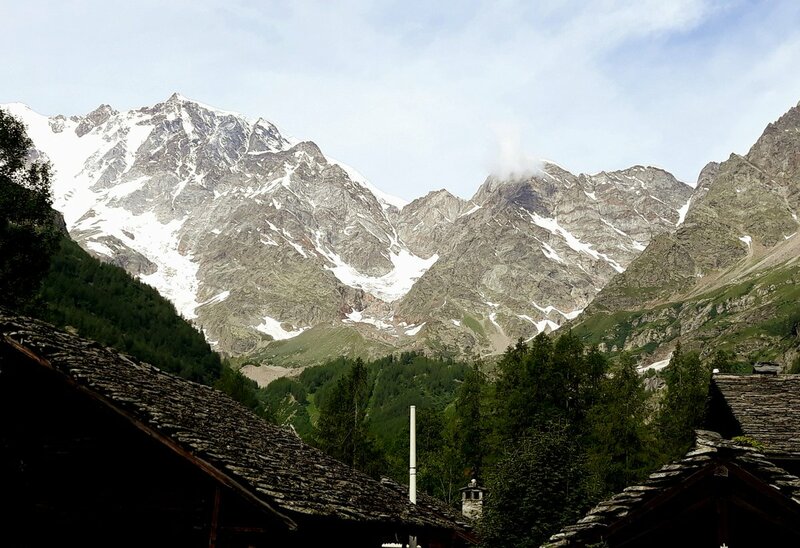 European Alps glaciers starting to wilt in the heatwave, but generally doing okay. North America glaciers / snowfields also wilting in the heat, especially Western Canada. Southern Hemisphere is rocking in New Zealand. Australia so-so. Lesotho, Africa, is open with a couple of trails on manmade. Was up on the Dachstein glacier (hiking not skiing) at weekend. Looked like plenty of snow for start of July. Tangent: What makes the most difference to a glacier, snowy winter, or a cool summer? I instinctively feel this winter will have been good for glacier depths, but is the key factor the snow loss over the summer? @Drammeister, it’s the mass balance that you need to look at. So how much winter growth compares to summer loss. The trend not surprisingly has been towards a negative mass balance given the generally warmer weather in summers. Last winter would I imagine have offset this, but perhaps not against the overall trend. An interesting stat (which you find at the bar on top of the Dachstein) is that it takes roughly 80cm of snow to create an additional 1cm of glacier. 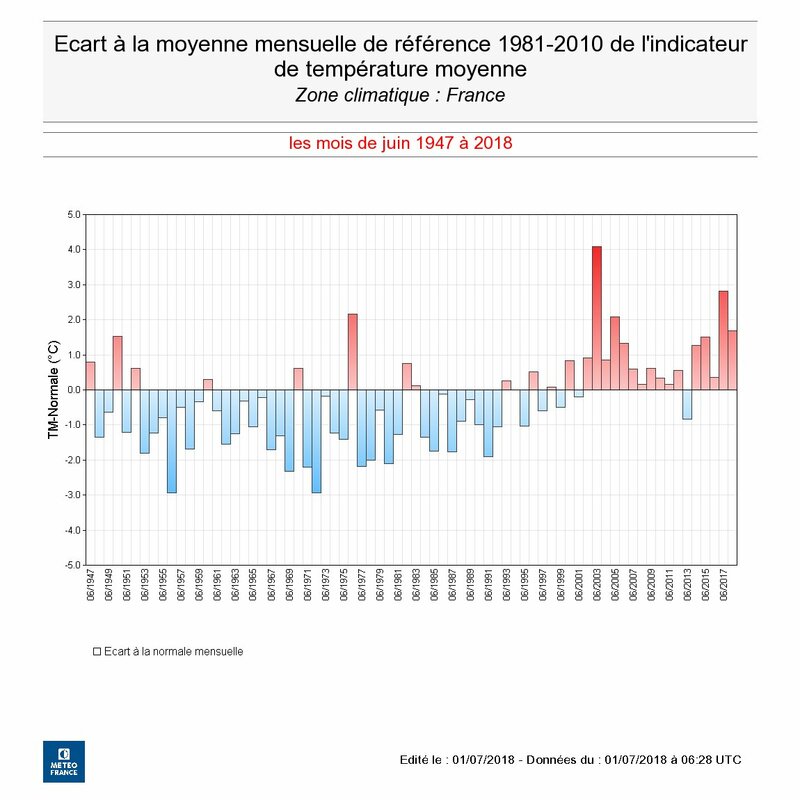 l'enneigement hivernal que l'on a connu cette année ne se traduit pas par des accumulations exceptionnelles à haute altitude. Some areas seem to have done better than others. I understand the Val d'Isere glacier opened this year - first time for years. It has been warm recently here in La Plagne, but no more than usual according to locals. And now exciting thunder storm has started with hail. They opened on the Bellevarde which they've not done before but could have done in the past as there is often snow at that altitude in June. The glacier is open every year. Not so long ago la Plagne had summer skiing. You ate right that conditions are variable though. @Jonpim, crazy hail down in Hartberg. Vienna had heaviest rainfall in four years last week. Still very warm, but not as warm as London has been. Ischgl certainly has more snow patches up top than it did this time last year. Anecdotally there are quite a few more snow patches around the Northern Chablais area at approx. 2000m (near Thollon/Bernex etc) compared to this time last year, but they have been melting quickly over the last few weeks of warm weather. 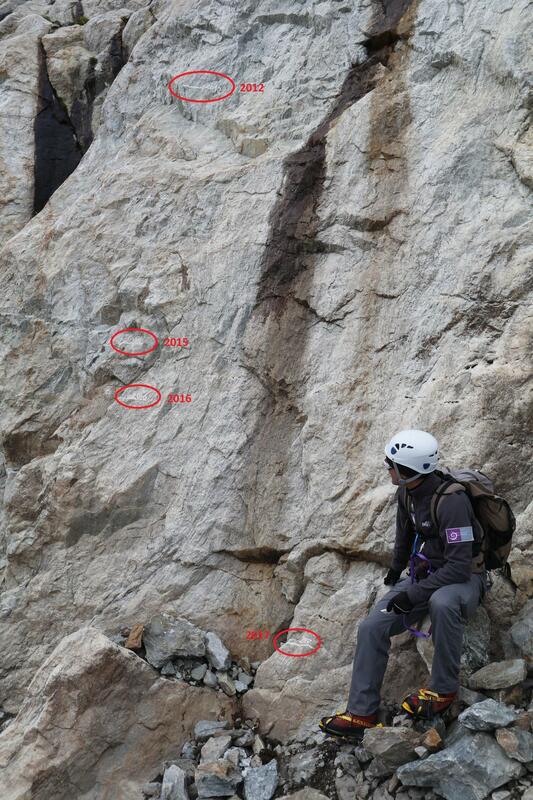 Lowest snow patches last week could be seen around 1800m altitude in places. The Mer de Glace, in Chamonix, the second longest glacier in the Alps, has lost roughly 100 meters of ice in the past 100 years. If global warming stopped tomorrow, it would take 500-1000 years for the glacier to return to its 1900 levels. Might see a very light sprinkling of snow at the top of the Hintertux glacier later today and tomorrow. Though it’s pretty fine right now. Some good background on summer so far in the UK. Cheers @nozawaonsen, some interesting comparisons to 1976. The big question is.. was the winter of 1976/7 a snowy one? @Handy Turnip, in UK winter 76-77 was quite snowy. 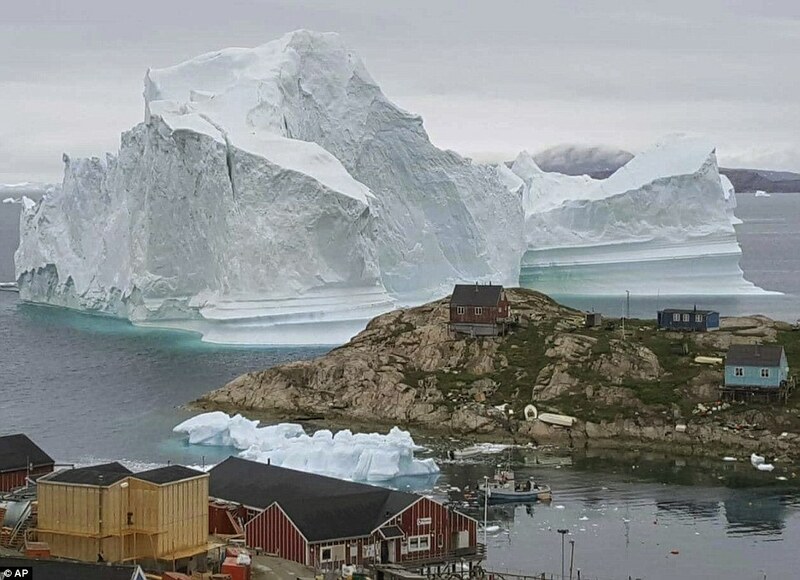 Spare a thought for villagers in Greenland, who have an 11-million-ton iceberg, sliced from global warming, hurtling toward their homes.